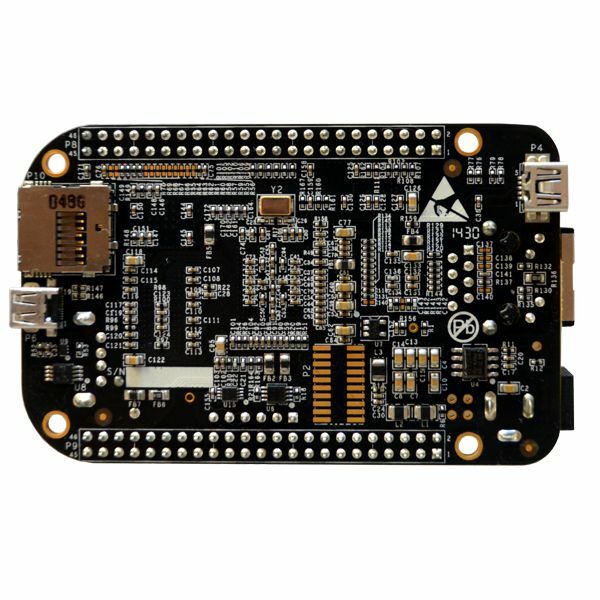 The BeagleBone Black Rev C element14 embedded microcontroller is a powerful processor for your advanced robot project. The BeagleBone Black Rev C is a 32 bit ARM microcontroller designed especially for embedded applications. It features an AM335X processor with a 1 GHz ARM Cortex core. This small microcontroller board has 4GB of flash and 512MB of fast DDR3 RAM. Processing abilities are further enhanced by a NEON floating point accelerator, 3D graphics accelerator and 2x PRU 32-bit microcontrollers. This board supports a wide range of software including Debian, Angstrom, Ubuntu and Android operating systems. The BeagleBone Black is an excellent choice for your advanced robot projects. It has plenty of GPIOs available for attaching a wide range of external modules and components. A set of two 46 pin female headers provide convenient access to the various I/O pins. I/O capabilities include SPI, I2C, CAN0, serial, Ethernet and USB. Four user LEDs and a TTL serial debug port are available to assist with diagnostics. This advanced microcontroller board also includes a micro SD card slot for access to massive amounts of data storage. High resolution video and stereo audio are available via a micro HDMI port. 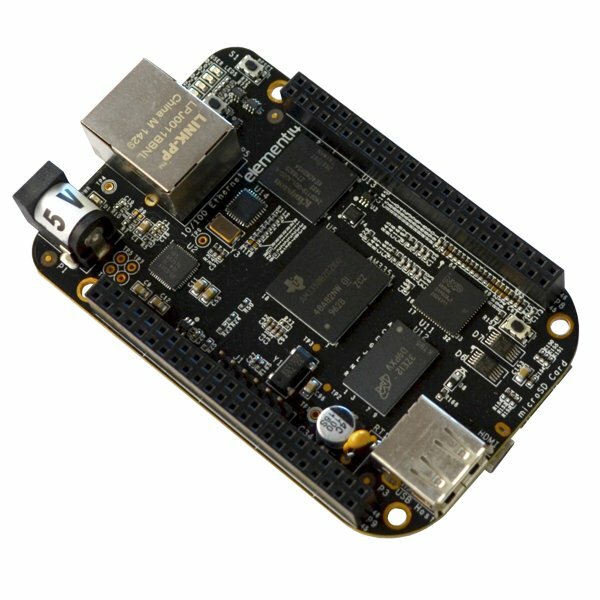 The BeagleBone Black Rev C comes ready to play right out of the box. The board comes preloaded with the Debian Linux OS and the package includes a micro USB cable and Quick Start guide.